I must begin this piece by disclosing that I have many good and long-time friends who are medical doctors and indeed I have many in my family including my own son. Let me also state that Medicine is a very dignified profession and all over the World it is accorded special respect. In our days, if your were a very bright student and you did well in the Sciences, you would be expected to choose Medicine or Engineering as your professional pursuit. Actually before the Nigeria-Biafra War interrupted my education, I had been steam-rolled to choose medicine as my first course, even when my mind was aching for Business Administration, Law or Journalism. My dilemma was that I was doing well in all subjects. So after losing three years in the war I was not prepared to spend one day longer in the pursuit of a degree. To be sincere, I did not know much about Pharmacy as a separate profession, I thought Medicine and Pharmacy were part of the same profession. So when I complained to my uncle that I did not want to spend many long years reading Medicine, he suggested I should read a course closely allied to Medicine but which had a shorter duration.That was how I came to read Pharmacy. Besides, my uncle also told me that since I loved Business Administration( which he discouraged me from reading) that Pharmacy could offer me the opportunity in future to administer a business! And as he predicted the Pharmaceutical Industry gave me the vintage opportunity to administer Business up to the highest levels. Indeed following my visible roles in National Economic advocacy,especially through the auspices of the Nigerian Economic Summit Group (NESG), and the Nigeria Employers consultative Association (NECA), some people think I am an economist and when they get to know that I trained as a pharmacist, they marvel, but then I tell them that is how wide the the scope of Pharmacy education is. 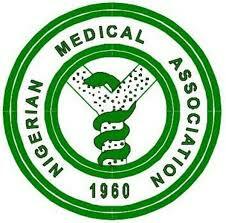 The Nigerian Medical Association (NMA), established in 1951 as a branch of the British Medical Association but which became really active at independence in 1960 has as its main objective the promotion of professional competence and practice. And for many years, we all saw the NMA as a noble professional organization that hadexcellent relationship with other professional groups in the healthcare team and sought greater attention and investment in healthcare by the governments. That is how actually it is meant to be. Healthcare is a team activity where all the members are of equal importance even if some are bestowed with more honour than the other. It is just like the members of the human body where the foot can not tell the hand that it can do without it, nor the eyes the nose. When one member suffers, the whole body suffers. As they say, injury to one is injury to all. In the healthcare team leadership was naturally conceded to the medical doctor for many reasons. First, he was the one who spent the longest no of years to acquire a first degree. Two, he was the one that was paid the highest salary. And thirdly in normal clinical setting, he was the one who had the first major interaction with the Patient and often invited the other team members to play roles in the management of a patient. He would request laboratory investigation from the Lab Scientist or x-rays from the Radiographer to complete his diagnosis. Thereafter, he would prescribe medicines and direct the patient to the Pharmacist to interpret the prescription, check for incompatibilities, compound and or dispense the requested medicines, direct usage and counsel the patient on how to get the best outcome from the drug regime. If the patient needs admission for observation or procedure, the medical doctor directs so and the nurses take over to ensure the patient is monitored and cared for while in the hospital ward,including administering dispensed medicines, especially injectable drugs. The same happens if the patient needs physical healing or rehabilitation and he is sent to the physiotherapists or occupational health therapists etc. The health team acting like athletes in a relay race where the medical doctor runs the first leg and hands on the next until the anchor drives home and the team wins. How can the man who initiates the race think he can run the race successfully without the team members. The goal being to restore the patient to health at the shortest time. In my days, this relationship worked seamlessly. When I went to do my Internship at the University Teaching Hospital, Enugu, I was employed as a Pupil Pharmacist in 1976, was placed on grade level 8 and my medical colleagues, house officers were placed on Level 9. And nobody argued. But when we (Internee Pharmacists, House officers, Internee Physiotherapists etc) had issues with the hospital administration and wanted improved condition of service, I was appointed the leader of the team and I was the one who spoke on behalf of the entire team. I spoke on behalf of the health care team and I was at the point the leader of the team. I have always insisted that leadership is not a birth right.It is situational and dynamic. Leaders emerge depending on circumstances and what problem the society wants to solve at a particular time. What is more, leadership is sacrifice and any leader worth his salt, must make sacrifice for the good of the led or constituents. Medical doctors lost the right to leadership of the medical team in Nigeria when they became selfish and self-centered. They stopped worrying about the well being of the patient. They stopped caring about the well being of the health team and became so consumed with their well being. Doctors either as NMA or National Association of Resident Doctors (NARD) have gone on strike more times than I can remember essentially to improve their welfare. No time have they gone on strike for the improved welfare of the health care team which they claim to lead. They compete with the Association of Senior Staff of Universities (ASUU) in calling for strikes, some lasting almost a year. Talking about ASUU, it is important to realize that ASUU is a trade union whose key objective is to advance the interests of its members in negotiation with their employers. But we hold the view that the NMA is a professional organization and not a trade union. It is trade unions that negotiate salaries, conditions of service and other employer-employee relations. But of recent we have seen NMA wear the garb of a trade union. What is worse and most disappointing is that NMA which has failed woefully to seek the well being of the health care team has taken upon itself to oppose any effort to improve the well being of other health care team professionals. In the ongoing JOHESU altercation with the Governments of Nigeria, it is surprising to find that NMA has chosen to be the spokesperson for the Governments of Nigeria. And indeed has become the main opposition to Governments desire to fulfil its agreement with the JOHESU. It is very difficult to understand the motivation of NMA in all these. Since it has elected to go on regular strikes to demand improved salaries and emoluments from government, it is difficult to justify its belligerent opposition to the effort of other health care professionals to seek the improvement of their own salaries and conditions of service. I am appalled that the Minister of health can not rise above professional pettiness to see that what is good for the gander is good for the goose. 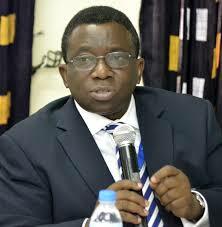 He has allowed the fact that he is a medical doctor to becloud his reasoning. I do not believe that Pharmacists and other health care professionals are asking for equal pay with medical doctors at entry to service in the public sector. What they seek is equitable pay and rewards and I do not see how this works against the medical doctors. It is absolute mischief for one professional group to want the best for itself and would shut down Nigeria's health care system for months but will rise up to oppose other groups who raise their voices to seek improvement in their work conditions and renumeration. This is against the law of natural Justice and it is indeed ungodly. Why would doctors oppose everything that elevates the status or professional competence of other health care professionals. They oppose any other health care professional from having the appellation of 'Doctor' after the necessary qualifications. They oppose the global concept of clinical pharmacy and Pharmaceutical care. Just because of ego? Let me conclude by requesting NMA to restore respectability to the noble medical profession by separating itself from trade union issues. I know that there is a National Association of Government General Medical and Dental Practioners (NAGGMDP) and Nigeria Association of Doctors in University Health Services (NADUHS). These sound to me like trade unions and so can engage their employers on renumeration and working conditions for medical doctors. NMA should shun politics, trade unionism and revert to an association of professionals that will devote its time building professional competence amongst the different cadres of the medical profession and helping to restore the image of medical profession in Nigeria. This piece by Mazi Sam Ohuabunwa is full of wisdom. Mazi is an accomplished leader of men and his words must be seriously considered. The major problem with our healthcare service - leadership - is universal in Nigeria. NMA does not realise that you are not a leader if no one is following you. A leader that does not cultivate and develop followers is merely leading himself and not anybody. It is obvious that the so-called leadership of NMA in Nigeria will continue to suffer and decline as long as they are determined to put down and destroy their followers. May God prevent the destruction of team spirit in the Nigeria healthcare space for the sake of patients. ii): a comparative scheme of service of medical practitioners and the other health professionals in hospitals under the NHS (the National Health Service) of the United Kingdom, e.g., etc. That way both the Nigerian public and Government Leaders in Nigeria would be better educated to differentiate and valuate the contributions to healthcare made by the various members of the healthcare team.